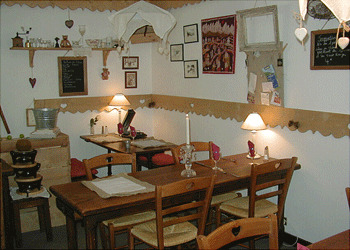 La Spatule welcomes you in a warm and personal atmosphere. 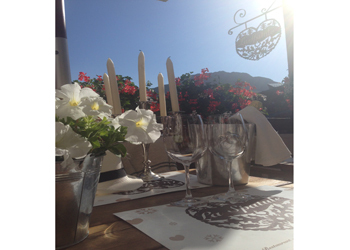 Installed since 2003, France and Philippe knew establish authentic and generous cuisine. Also renowned for its small cozy terrace facing south (booking advised) reached on skis, the Spatula perfectly combines traditional flavors and Savoy quality products. It offers a range of varied flavors for every taste and every mood. 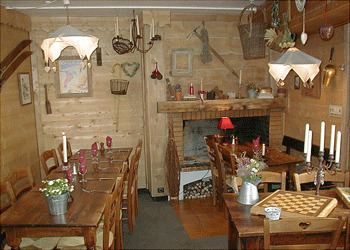 A generous kitchen which offers a rich menu of essential such as Savoyard specialties (fondue with porcini, morel, raw milk ... raclette, tartiflette and Savoy sausage), its tasty cuts of beef, whole duck breasts or The Black Mountain Burger. Let yourself be tempted by our gourmet salads, pizzas and suggestions at the time, accompanied by a selection of wines from small regional producers. Lovers of pancakes and crepes will not be left with an important choice made by Philip crêpier Master. Want a halt? Traditional hot chocolate, hot house wine, tea, homemade waffles for some, for others pancakes, enjoy the joys of après ski! Located opposite the ski lift of the Chevrette, above the crates of lifts or with direct access from the building Hamlets 1, do not miss the opportunity to have a good time with us. - At the arrival point of the Telebus and the free shuttle bus. 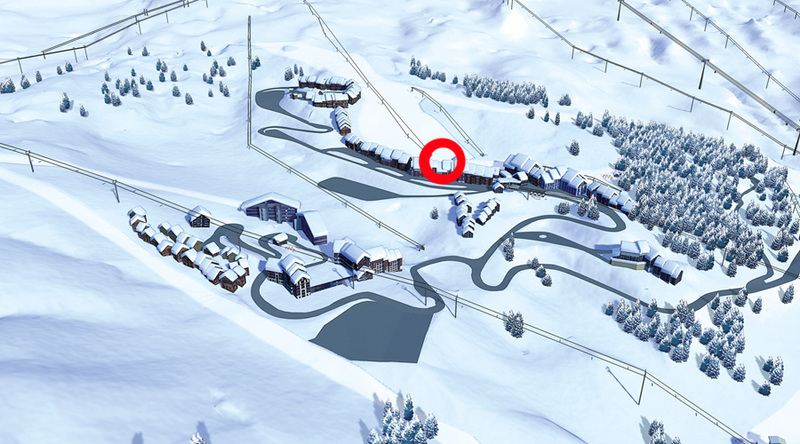 - Situated at the foot of the slopes.